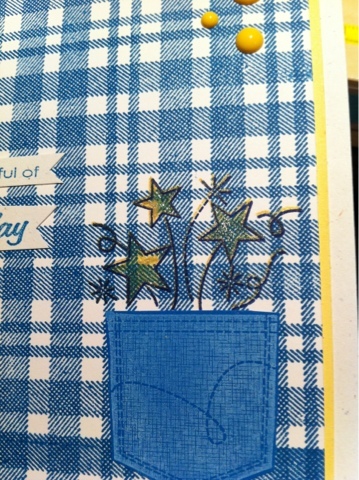 Today's post is brought to you by the letter W - for Wplus9 and Waltzingmouse stamps. I have a box of already stamped stuff that I need to go through and use. 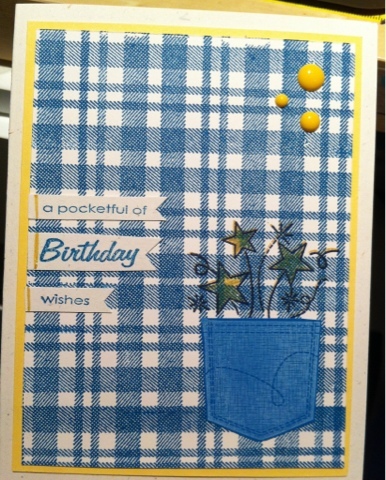 This plaid stamped panel was in there and made this card come together SO quickly. Filled in the stars with a Spica. A little bit of shine can still be masculine right?? Love it Rose! Really reminds me of a checked shirt - great colour combo too!